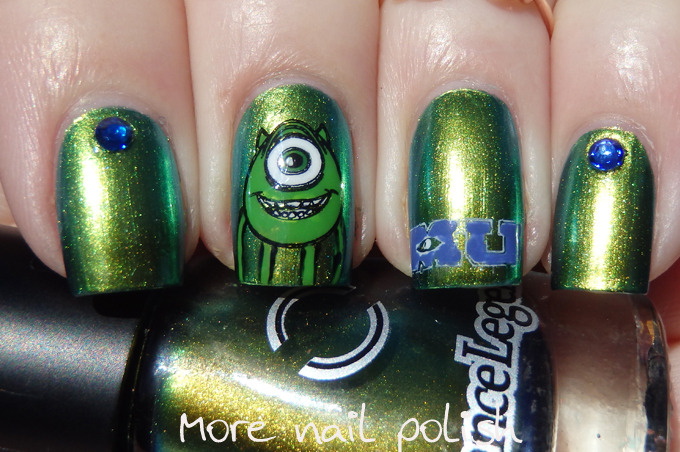 Looking for some 'in-your-face' nails, well here they are. 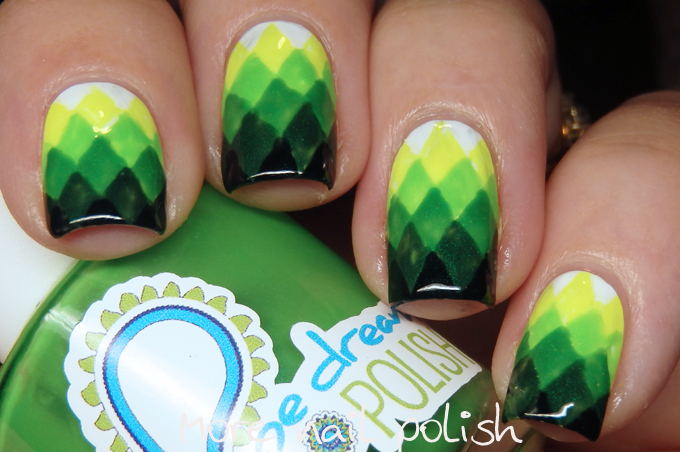 For the Green prompt on the 31 Day Challenge I attempted a new to me free hand design of geometric gradient nail art. 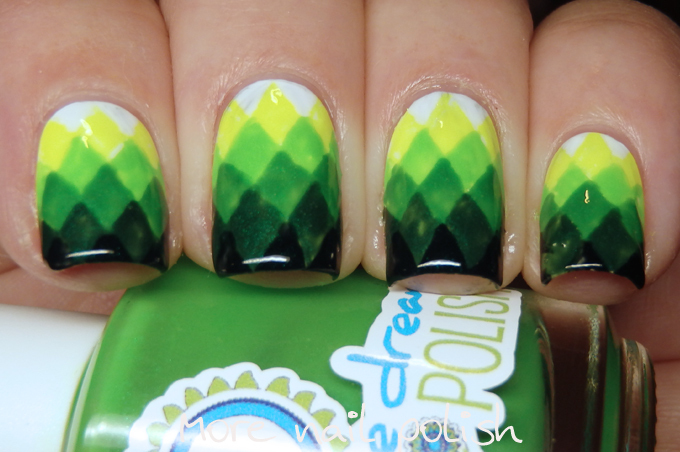 The idea behind this design is very simple, a gradient of colours in stepping diamond shapes, but let me tell you that application isn't very simple. I found this very hard to get neat straight lines and sharp pointed tips. 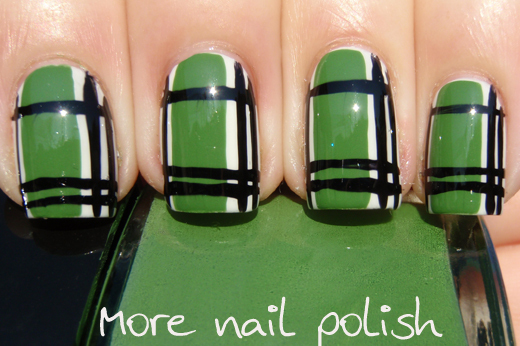 I only used two polish colours for this mani, plus a white base and black. 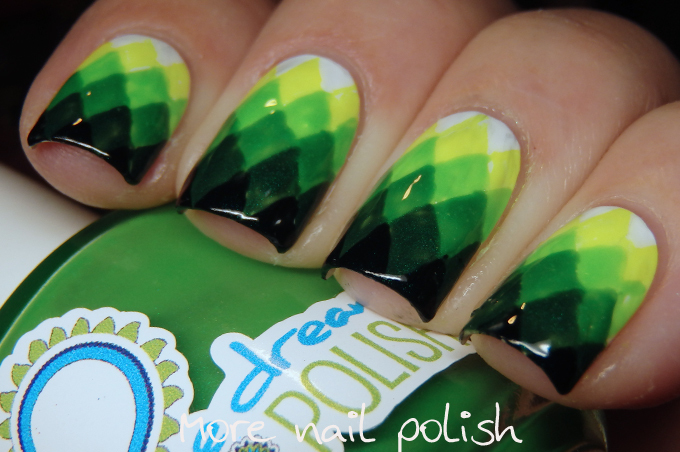 From the Pipedream A Night In Vegas collection, Light of Day (yellow) and High Roller (green). I just mixed those to together to get the lime green for between Light of Day and High Roller. For the darker green, I just mixed a little black with High Roller. 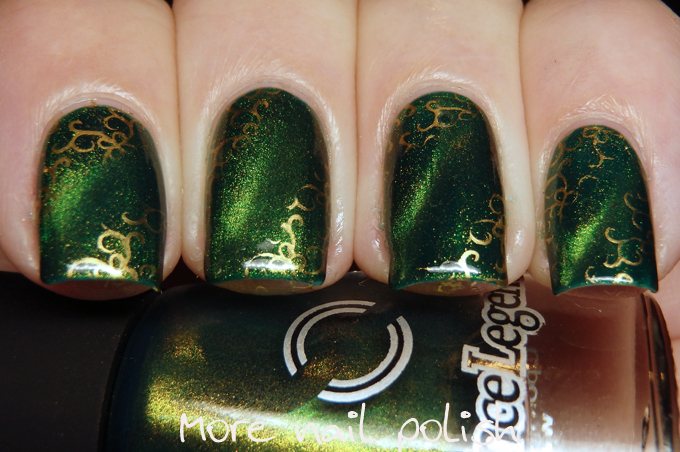 I love that with the extra bit of black you can really see the shimmer that is in this polish, because generally this collection is described as a creme collection, but in fact each polish does have a shimmer. 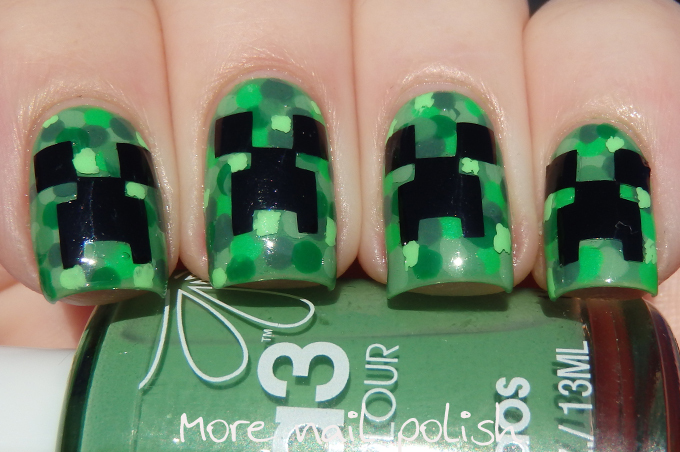 I'm also going to confirm that I did paint all 10 nails of this. I wish I'd taken a photo of both hands, cause I'm starting to impress the pants of myself with how alright the right hand looked. 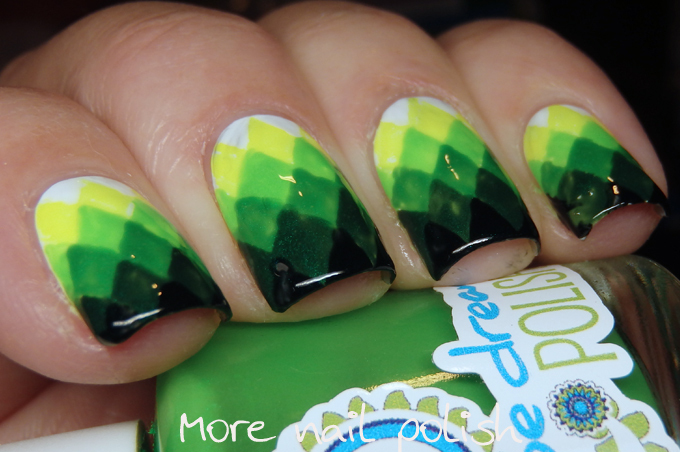 My Green nails from 2013, 2014, 2015 and 2016! Epic!!! I bet it was harder to do than it looks! Wow! These are so striking! Works so well with using white & black to mix the shades. Very impressed with all 10 too!